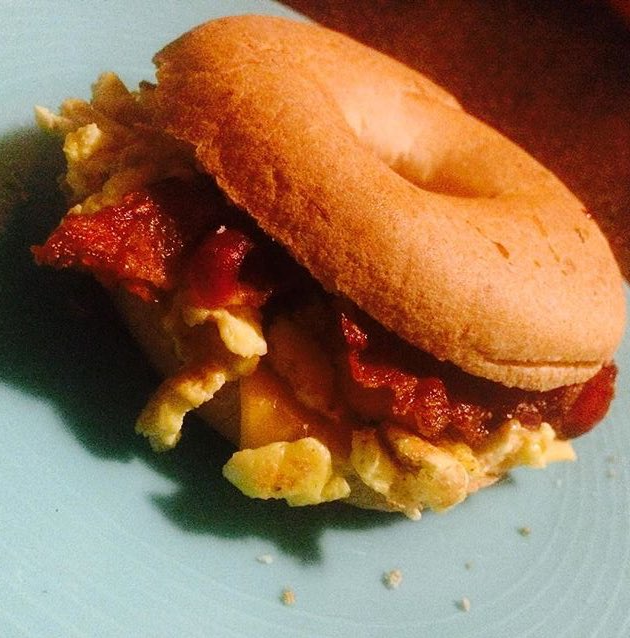 Review: The Best Gluten Free Bagels are From BFree! – Get Cooking! There is “thrilled to death” and then there’s the emotion I have right now, sitting here telling you all about a brand new gluten-free bread company in the U.S. called BFree Foods. Thrilled – to death or otherwise – doesn’t seem to cut it. After all, in the gluten free community, any time a new gluten free food company comes onto our radar, it’s cause for celebration. If you are celiac, gluten intolerant, vegan or are allergic to wheat and/or gluten, this is your cue to do your celebratory dance. BFree offers a DELICIOUS line of wraps, rolls, bagels and bread loaves that are wheat-free, gluten-free, low-fat and high-fiber. Not only do the BFree bread products taste fantastic, they don’t fall apart like many other gluten-free alternatives. They’re also calorie-responsible; the Multigrain Wraps, for example, are only 100 calories per wrap. 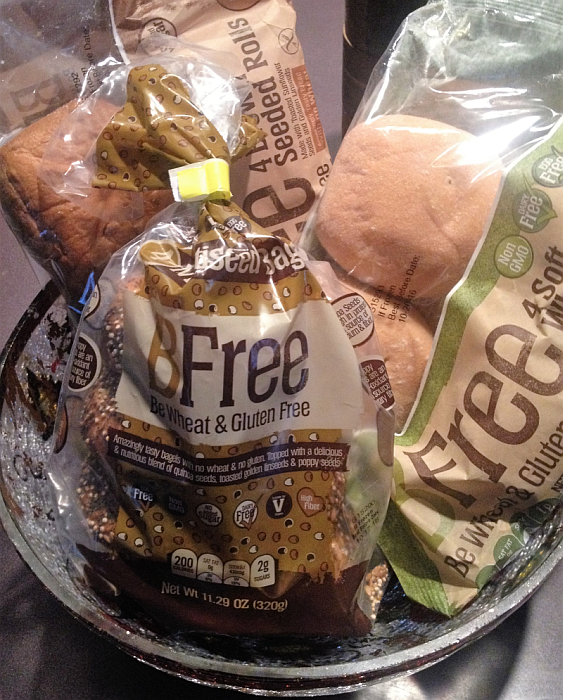 I was sent a beautiful assortment of BFree Bread, Wraps, Rolls, and Bagels to review – for which I am over the moon thankful for. I want to do right by these reviews because, not only am I grateful, they are EXTRA special and I want to attempt to do them justice. What? Do they think we don’t know what bread’s supposed to look OR taste like? BFree respects the gluten free community and has gone above and beyond to give us truly exceptional bread, bagels, rolls, and wraps. Each product is a perfect 10 out of 10 – not only in taste, but appearance, as well. The bread doesn’t look like it just spent time in a shooting gallery (seriously, why are so many gluten free breads FILLED with holes?!? ), and the rolls, bagels, and wraps, are downright beautiful. Each product is even packaged beautifully! BFree does absolutely everything right – they’re as BRight as they are BFree. As I said above, I’ll be reviewing each (the bread, wraps, bagels, and rolls) separately – shining the spotlight squarely on each. 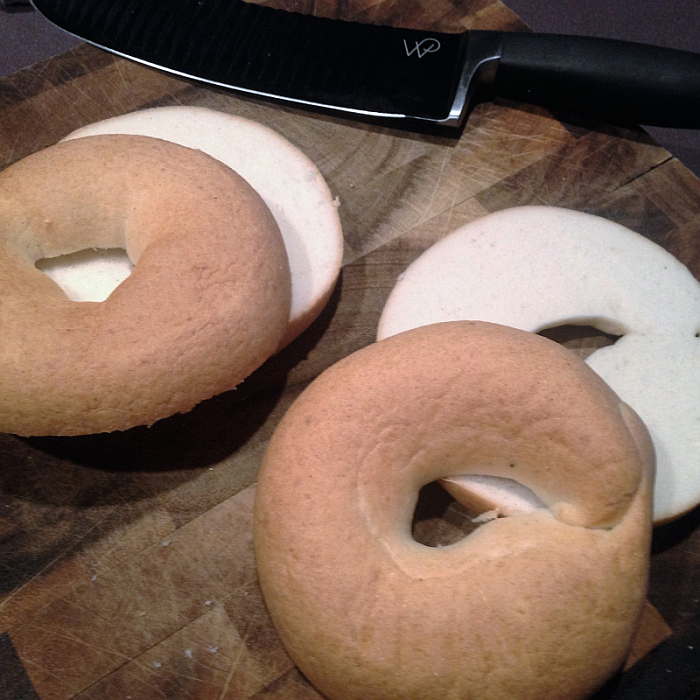 I figured I’d start with the first BFree product I tried – the wonderful Bagels. 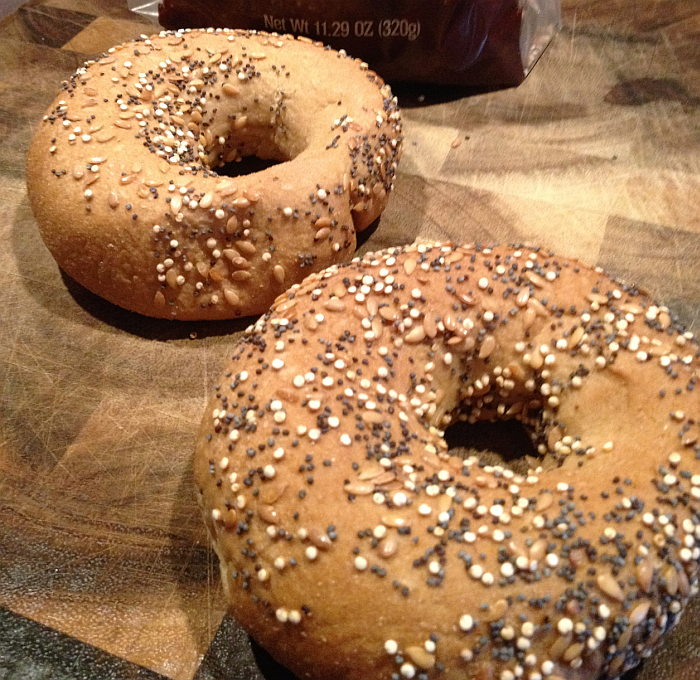 I could never say which is my favorite between these two gluten free bagels – which, actually, kind of surprised me. I assumed I’d prefer the plain bagels, but one bite into the multiseed bagels told me it wasn’t going to be that easy. Each variety is out of this world good and looks AND tastes like a traditional bagel. Remember, when it comes to doing gluten free food reviews, I might be in an especially good position. After all, my body didn’t decide that gluten was poison until just a few years ago – so I remember all too well what “normal” food tastes like. These bagels are right on the money. BFree products do not contain wheat, dairy, eggs, nuts or soy, making the entire BFree product line free from all major allergens—and completely vegan. 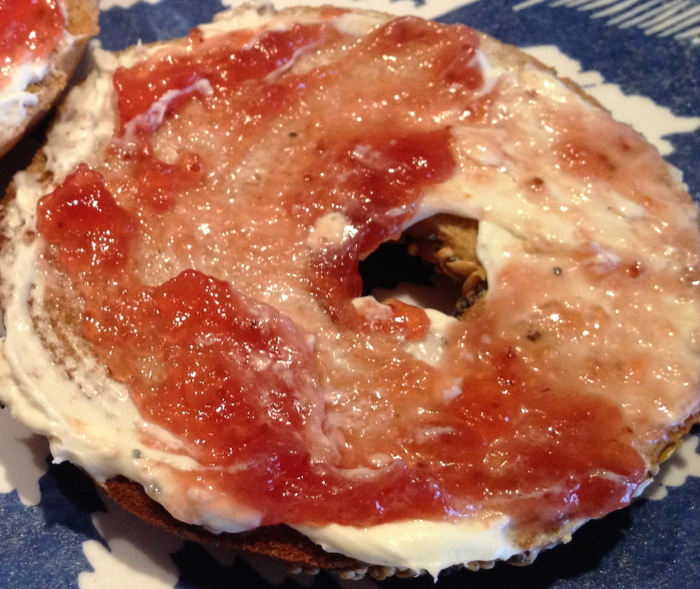 I normally toast these bagels and top them with cream cheese (mmmmm, such an addiction) and maybe a little jam. However, sometimes I’ll butter the plain bagels, toast them in my skillet, and top with cheese, a fried egg, and bacon or ham. Here’s something that’s extra decadent: Toast your bagels in butter (even brushing the top with melted butter). Then add – fried egg, bacon, and sauteed onions. For whatever reasons, this is one of my favorite things in the world. 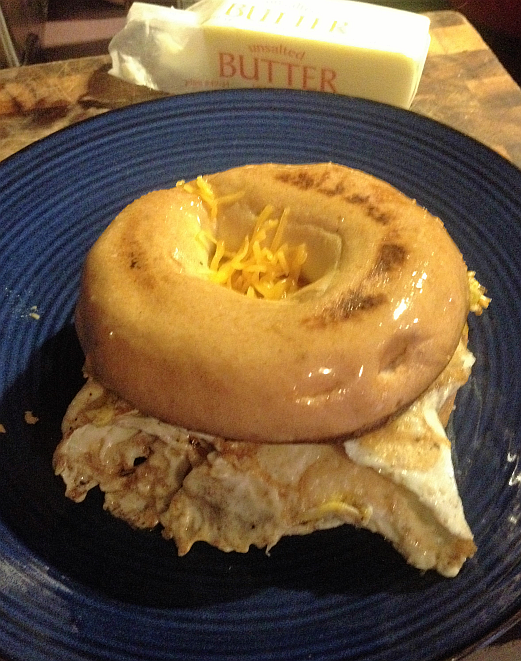 The sauteed onion and taste of the bagel is absolute heaven on a plate. Where can you find BFree Bread, Rolls, Wraps, and Bagels? Apparently Meijer stores and Ralphs are your best bet, though other stores are also on the list. Use the Store Locator on BFree’s website for more information. I’m feeling all kinds of lucky because a Meijer’s is opening in my town in a matter of weeks. I hope you’ll click through and learn more about BFree Gluten Free Breads. I’ll have another review up in a day or two – next up will be the AMAZING gluten free rolls. I know this is a lot of gushing to take in all at once, but BFree has opened up a whole delicious world for me that I thought was gone for good. That’s the sort of thing that’ll leave you gushing! Try them right away… I know you’ll feel the same way. More Gluten Free Food Reviews on Get Cooking!